Just in time for the global holiday celebrating cannabis culture, MedMen opened its newest store in the heart of one of the poshest shopping districts in America, New York’s Fifth Avenue. The first of its kind, MedMen Fifth Avenue signals a big step forward in the evolution of cannabis and cannabis commerce in the U.S. Co-founder and CEO Adam Bierman welcomed attendees at the launch event, including State Senator Diane Savino, sponsor of the bill legalizing medical marijuana in New York, and NYC Public Advocate Letitia James. Both are outspoken advocates for legalization and addressed the crowd along with Bierman. "This store represents the future," said Bierman. "We are making a strong statement that cannabis belongs in the mainstream and belongs on Fifth Avenue." New York State is strictly a medical marijuana market currently, meaning only certified medical marijuana patients may purchase cannabis products. However, non-patients are allowed to enter dispensaries to browse or purchase merchandise. 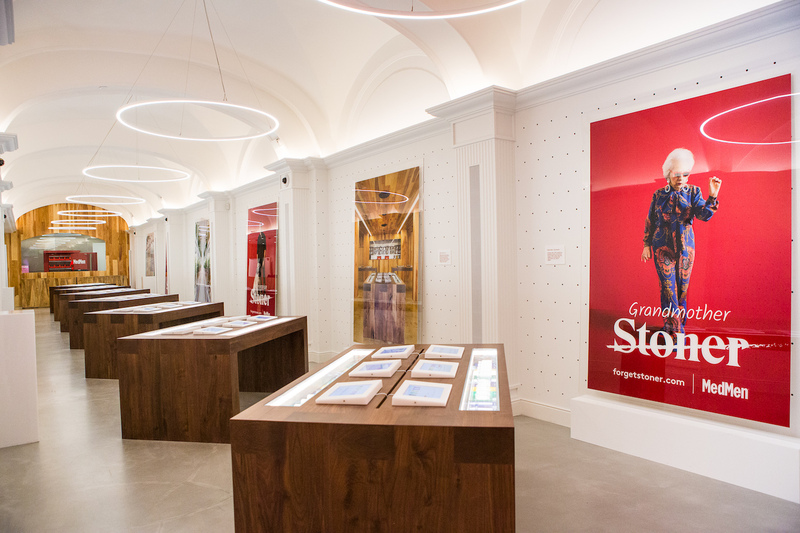 By establishing a retail location in the heart of New York, MedMen is showcasing its brand to a global audience and future adult-use shoppers. MedMen Fifth Avenue is located between W 39th Street and W 38th Street, a block away from Bryant Park and the New York Public Library. The historic limestone building was initially a vacation home for the Rockefeller family. The 2,000-square-foot showroom, with MedMen's signature table displays, features Doric columns and a vaulted arch ceiling. Weed Dispensary Comes to NYC's Fifth Avenue, Just in Time for 4/20 (Bloomberg).